Black Friday used to be an event only night owls could enjoy. You had to stay up late, wait in line at a big-box store, and hope you didn’t get trampled on the way to the electronics section. Fortunately, there’s an easier way — online shopping! In this article, we’ll share our favorite Black Friday deals on the latest smartphones. Some of the most popular wireless carriers are offering great deals on the latest smartphones. The holiday season is always one of the best times to upgrade your cell phone, or switch to a better carrier! Earn cash by switching to a better plan or upgrading to a new phone. When you switch to a new Verizon plan and get one of the phones listed below, you’ll receive $300! Or, if you upgrade your phone, you’ll receive $100 from Verizon. A trade-in is required to take advantage of this offer. 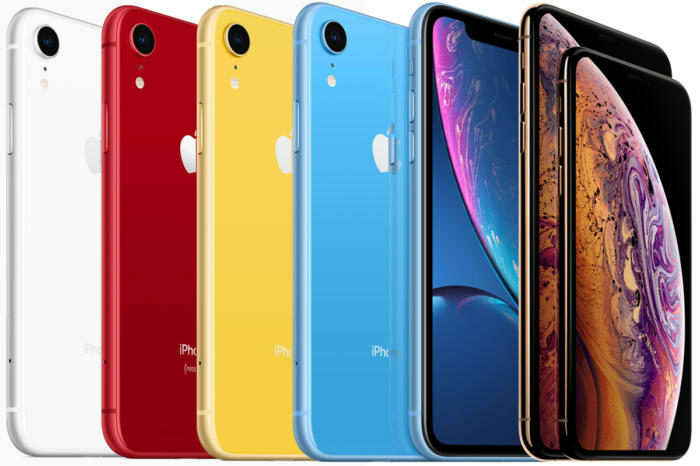 AT&T is also offering Buy One, Get One deals on the iPhone XR, as long as you have an eligible AT&T cell phone plan! Buy one iPhone XS, iPhone XS Max, or iPhone XR, and you’ll receive a free iPhone XR from AT&T! Guess who else is offering a Buy One, Get One deal on the iPhone XR? You guessed it — Sprint! When you sign up for a new line and lease an iPhone XR, Sprint will give you a second one. Sprint is also running a promotion where you can get a free year of unlimited data when you switch to Sprint! Boost Mobile is a mobile virtual network operator, so their plans may be cheaper than the one you have now. Every Boost Mobile plan is a no-contract plan! Everyone knows a new phone is even better when it comes with new accessories. You’ll want to keep your phone safe in a brand new case, and you’ll want to have a charger so it always has enough battery life. You can find our favorite cases, chargers, cables, and more on our Amazon Storefront, which is full of curated lists of the best products for your phone. While you’re there, don’t forget to follow our page for updates on the latest and greatest products in tech! Previous ArticleiPhone “Face ID Is Not Available”? Here’s The Real Fix (For iPads Too)!